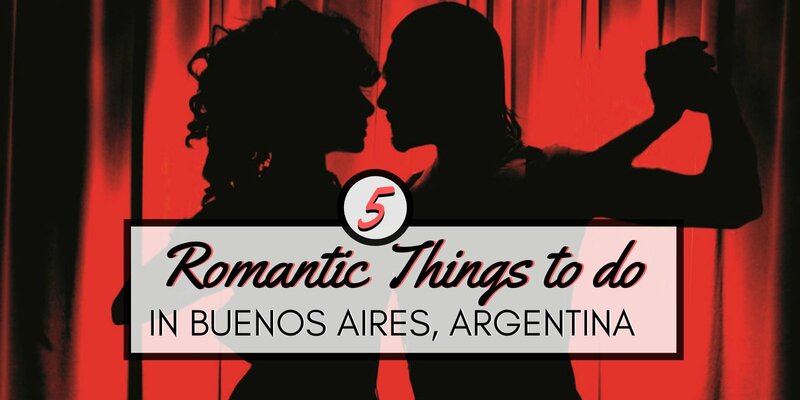 5 romantic things to do in Buenos Aires and impress your loved one! Romance is everywhere in Buenos Aires. The Porteños (local folk of the big capital city) are extremely passionate – and boy do they know how to celebrate being in love. Whether it's taking a stroll in charming Puerto Madera, getting intimate while dancing Argentinian Tango or taking a picnic in one of the many beautiful gardens, the opportunities to spend a special moment with your lover are endless. 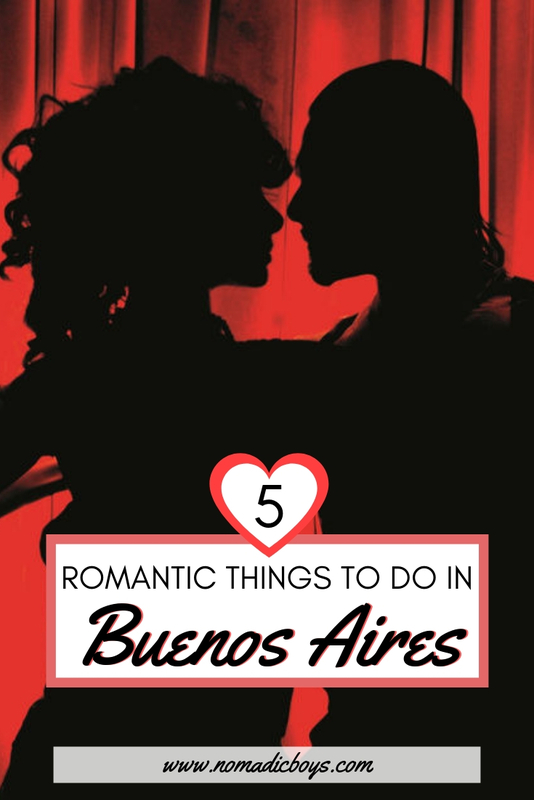 Here are our top 5 romantic things to do in Buenos Aires for anyone in love really! Set in a very intimate milonga, Rojo Tango is the ultimate romantic experience to do in Buenos Aires. A candlelit dinner with your loved one while watching Rojo Tango will be one of your best memories of Buenos Aires. Tango is the romance of Argentina. This sensual dance which originates from Río de la Plata is so mesmerising that you could watch it for hours and not blink an eye. A candlelit dinner while watching a tango show is one of the best memories we have of Buenos Aires. There are plenty of tango shows to choose in Buenos Aires, and some are better than others. Rojo Tango was our favourite show by far and was recommended by many of our local friends as well. The setting for this intimate experience is in the luxurious Faena hotel in Puerto Madero. The dinner includes a three-course Argentinian meal with bubbles followed by an unforgettable show. Book your own dinner and Rojo Tango show and enjoy this amazing performance along with delicious food and drinks! Learning to dance the most romantic and passionate dance in the world! Tango will captivate your heart! And what better way to get up close and personal with your lover? If you enjoy watching tango, then learning to dance tango takes it to a whole new level. Gazing into your partner's eyes, grasping his hands and allowing yourself to be guided by the tantalising music is one of the most sensual experiences one can have. You will find many milongas (tango halls) offering courses for all levels in Buenos Aires. Our favourite was the Maldita Milonga in San Telmo. This traditional milonga has live concerts every day from 11pm with classes just beforehand. 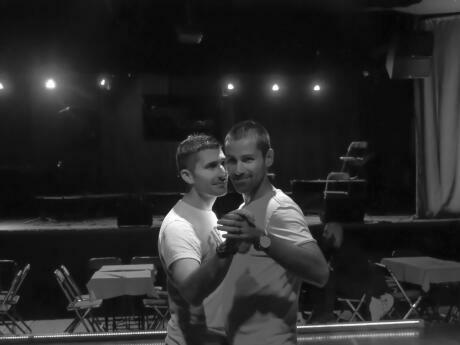 They also have Queer Tango night on Tuesdays so you'll definitely be able to learn to tango in a welcoming and gay friendly environment. We also took a private tango lesson with a teacher which we highly recommend. A one to one is invaluable as you have a tango expert behind you showing with you all the steps of this very powerful dance. This one's a splurge but definitely worth every penny for a truly once-in-a-lifetime romantic experience. Take your loved one on a helicopter ride and marvel at the immensity and beauty of Buenos Aires from high above. It's also a really fun way to discover the city and see sites like the Recoleta cemetery from a bird's-eye view. The bilingual pilot will also be able to point out important sights to you. 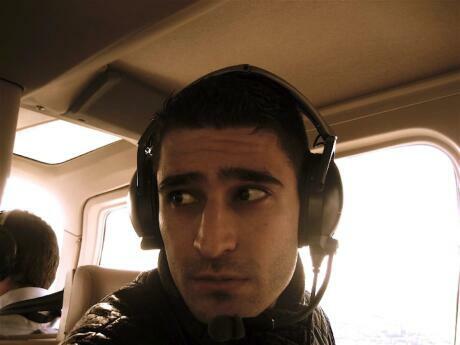 The helicopter takes you over Puerto Madero, then north past Palermo towards Tigre, the Paraná Delta and back. If you want to share an incredible and unique moment with the person you love, a helicopter ride is definitely the experience you're looking for. Book your own ultra-romantic helicopter flight for two here! There is no finer spot for a romantic stroll than along the river bank of the recently revamped Puerto Madero neighbourhood. 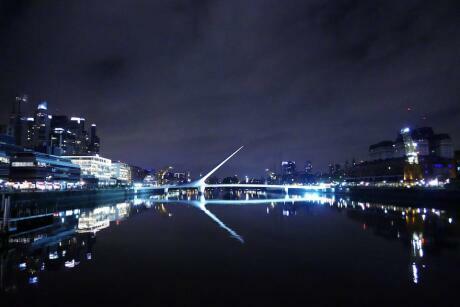 The old port of Buenos Aires is now a trendy hangout with lots of restaurants and bars. The lit up river bank at night makes it the ideal place for a romantic walk, hand-in-hand, listening to the sounds of the city. The architectural highlight is the iconic Puente de las Mujeres (“Women's Bridge”) – a pedestrian bridge meant to represent a couple dancing the tango. For something a little bit different (but still romantic) you could even go on a day-time tour including a boat ride to see the bridge from another angle, as well as the other most popular attractions in Buenos Aires. Polo is the most popular sport in Argentina. If you can make the time during your vacation, we highly recommend spending it at an authentic estancia (cattle ranch) like Puesto Viejo to get a feel for the Argentinian countryside. Puesto Viejo is in Cañuelas, around 1 hour outside the city. It's a large polo club estancia with huge grounds, polo fields, horse ranches, boutique hotel, outdoor infinity pool and really pretty gardens. When it's scorching hot on a February/March summer's day, it's so nice to come and chill here. 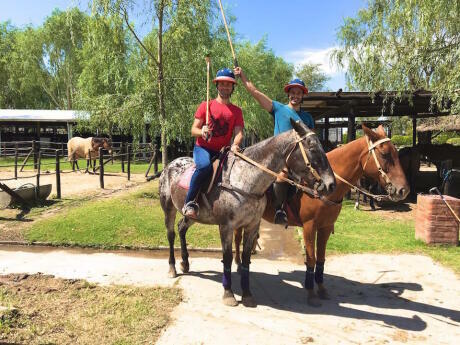 At Puesto Viejo, they offer polo classes to all levels. As beginners, we were totally apprehensive at first, but we quickly got over this and by the afternoon we were confidently riding our horses, scoring goals in our first match! It's a lot of fun if you want to do something active and are into horse riding. The full day polo experience with Puesto Viejo includes lunch and hotel pick up/drop off.